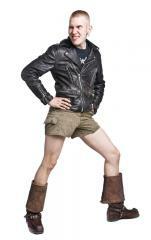 Get any trousers made into shorts, we'll even turn your WW2 German wool breeches into a pair of hotpants if you want! Works with almost any trousers we have, only rain gear and padded trousers are excluded (although rubberized shorts do sound quite intriguing). 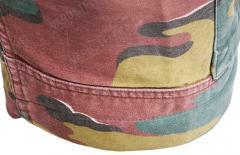 If there are several trousers on your shopping cart, specify which should be made into shorts and which not. Achtung! 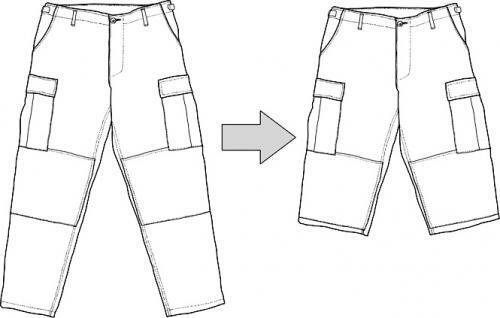 Converting trousers into shorts makes the result a tailored product, which has absolutely no return rights. 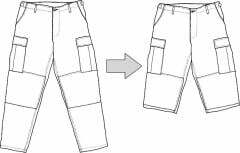 We cut the pants just below the cargo pockets, so the legs will end just above the knee. No ifs and buts - if you don't like it, do the job yourself. Be sure to order your size right! This service applies only to trousers bought simultaneously from us. Don't bring your trousers to us for shortening, we won't do anything to them. Note that there is only one sewing machine. This means that you won't get the shorts while waiting and if you order online, there might be 2-5 days of delay.